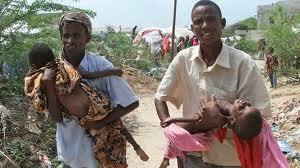 In the two regions of southern Bakool and Lower Shabelle in southern Somalia, acute malnutrition rates are above 30 per cent, with deaths among children under the age of five exceeding six per 10,000 per day in some areas. In the last few months, tens of thousands of Somalis have died as a result of causes related to malnutrition, the majority of them children. “If we don’t act now, famine will spread to all eight regions of southern Somalia within two months, due to poor harvests and infectious disease outbreaks,” said Mr. Bowden. Despite challenges, humanitarian agencies are working hard to respond and have scaled up efforts in recent weeks. To expedite the delivery of supplies into the worst-affected areas, the UN has started airlifting urgently needed medical, nutrition and water supplies.